Last year the sociologist Göran Adamson was fired from his job as an associate professor at Malmö University despite being popular and appreciated by the students. He had worked there for 10 years but was let go shortly after his book on multiculturalism was released. In my research I ventured to problematize multiculturalism and you can’t do that in Malmö – Göran Adamson to Lokaltidningen. In his book, Swedish diversity policy – a critique from the left Adamson describes what the term “diversity” actually means when used in public debate. He is also highly critical of the politisation of Swedish universities, and above all the implementation of multiculturalism as an unquestionable ideology. Adamson’s thesis is that multiculturalism is “a conservative idea taken to be progressive” and that nationalists and multiculturalists in reality share the same fundamental views. Multiculturalists only talk about roots, and there is only one group in society which is as hypnotised by roots and that is SD [the Sweden Democrats]. SD are passionate about their own roots, whilst multiculturalists are passionate about the roots of exotic cultures. Two years ago it was rumoured that the university was planning to let some employees at the Institute for Social Work go and Göran thought he was in the clear. He had been employed for 10 years and was very popular and appreciated teacher. Nevertheless he was formally laid off in January 2014 but was told by the dean not to worry. And things did look promising as he was given a prestigious assignment – a 3 week trip to Hong Kong to discuss co-operation and financing of a project with Hong Kong Polytechnic University on behalf of Malmö University. When I came back from there I was informed by the management at Malmö University that they were very pleased with the work I had done. But two weeks later when his book was released everything changed. The bosses yelled and swore at me. They didn’t say anything about my book, just that there was widespread criticism of me from students and colleagues. I had difficulties co-operating and my teaching wasn’t good enough, they said. Adamson described the termination period as “strange”, a view shared by the University Teacher Association which told Lokaltidningen that “there were way too many big question marks regarding his case”. Principal Stefan Bengtsson claims that he “does not recognize” Adamson’s description. Adamson currently teaches at Copenhagen University which according to him isn’t as left-wing as Malmö University. 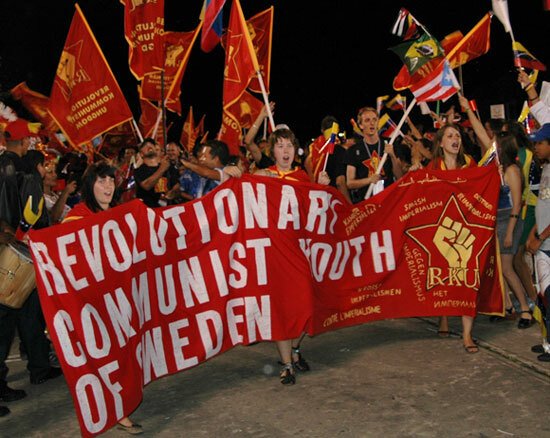 As an example of bias he pointed out that a representative from the “Revolutionary Communist Youth of Sweden” was brought in to speak at an introduction meeting for students. This is not the first time a Swede who speak out against the ruling dogmas of our day faces repercussions and I’ll bet it won’t be the last time either. What has happened to this professor has already taken hold in our British universities. Antisemitism and disinformation about Israel proliferates all of the sociology, Middle Eastern studies and history courses. Funding comes from Islamic institutions who have now shaped the way that Middle Eastern history is taught. Jewish students are intimidated simply for being in favour of a Jewish homeland and the terms ‘Nazi’ and ‘apartheid’ are now linked to any kind of dialogue about Israel. Wait a minute, no, there IS no dialogue about Israel that is allowed unless it portrays Israel as a pariah state. Lecturers that wish to offer a different view from the anti West agenda are swiftly booed and thrown out. There is no freedom of speech any more on UK campuses. The Islamicization of British students is well and truly established. Israel is a bandit state, most Jews are related to the Khazars of Southern Russia, therefore you have very little claim to Palestine! In-fact, lets have a full Genetic profile of the Jewish people – to see where your Ancestors came from! 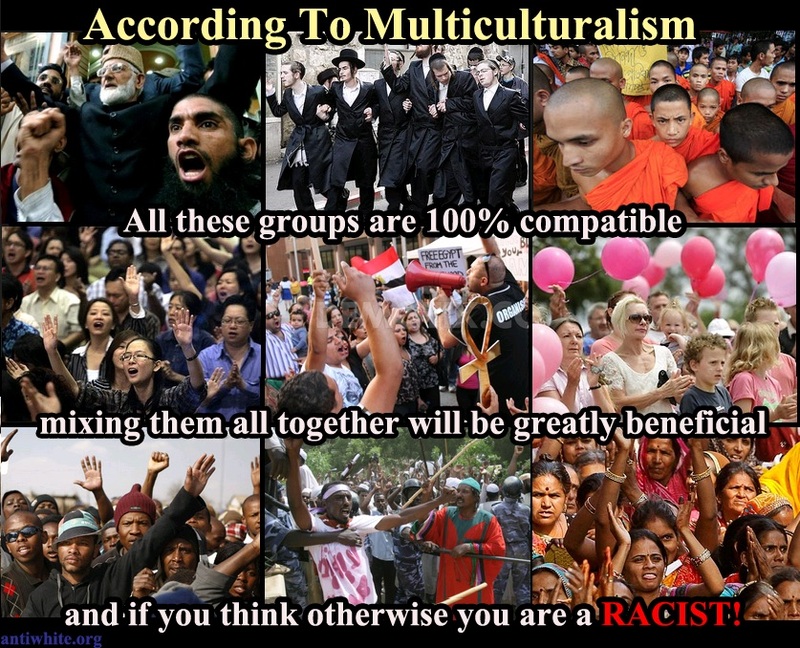 As for Immigration policy, it is leading Jews like Noel Ignatieff, Tim Wise, Barbra Spectre and of course Coudenhove-Kalergi amongst others – who are responsible for Multiculturalism into White Western lands! It’s a similar situation with the curtailing of Free Speech – so please, don’t play the victim!